For those of you keeping up, two days ago I was struggling with the decision of whether or not to leave the lovely island of Honduras and head to the town of Copan Ruinas in the highlands of Honduras. I made my decision and yesterday morning I left on the ferry out of Utila at 6:20am. 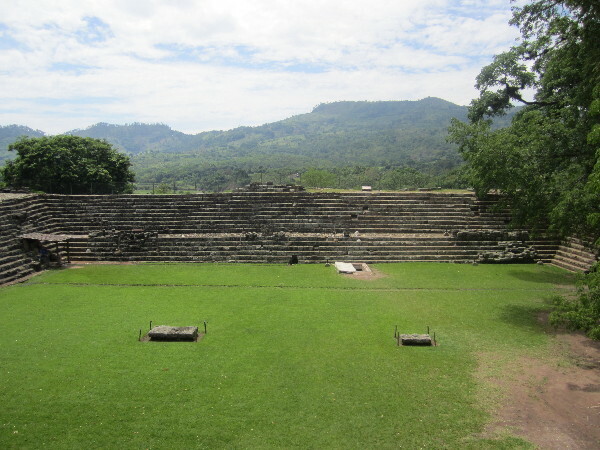 It was a long day of traveling, including a three hour bus ride which I spent standing in the aisle for a vast majority of the ride, but finally I arrived in the quant little town of Copan Ruinas, and I am very happy with my choice. A view of the town of Copan Ruinas from the hillside above. The heart of the city is a small park, or square in the middle of town. 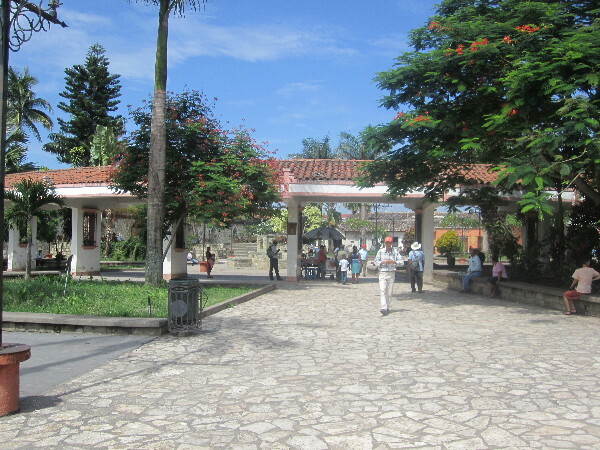 It features a fountain, a small stage, and multiple street vendors. The square is constantly filled with locals making their way through the town. 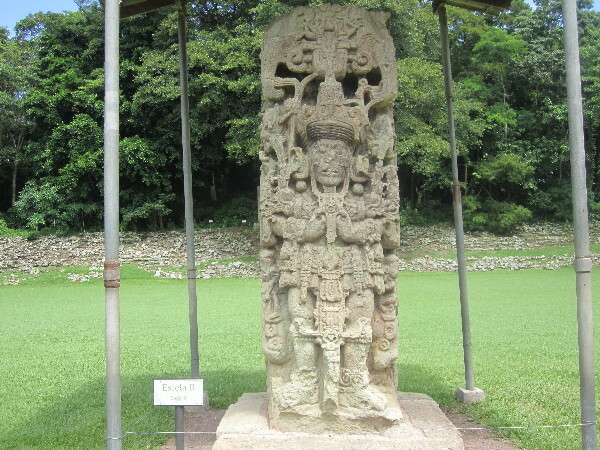 The reason that most tourists come to Copan Ruinas, and the reason for my visit, is to see the Copan Archealogical site about 1 kilometer outside of town. 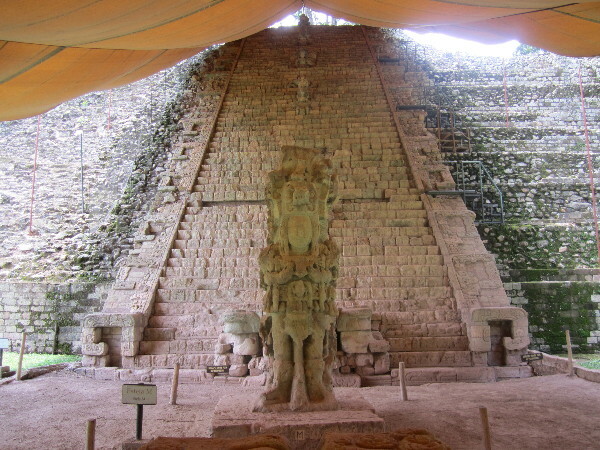 The site is home to some of the most detailed Mayan ruins still in existence today, and although the site is not nearly as grand as Tikal, the artwork, well kept remains of carvings, and wild macaws are reason enough to visit this tiny town tucked away in the mountains of Honduras. 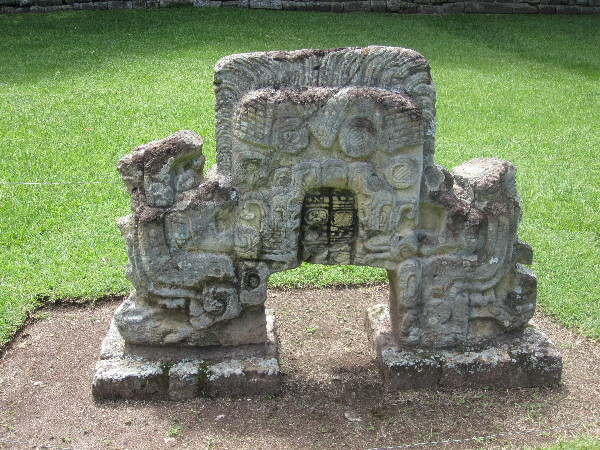 One of the many Stelas in Copan sits under cover from the weather. They are covered in hieroglyphics that tell stories of certain events and time periods and the rulers who ruled at those times. 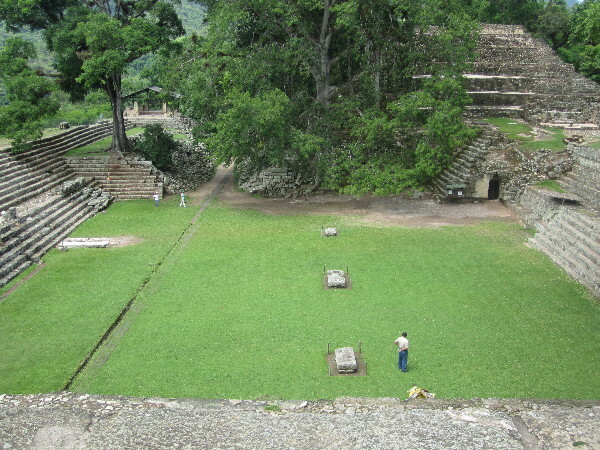 The ball court in Copan Ruinas. 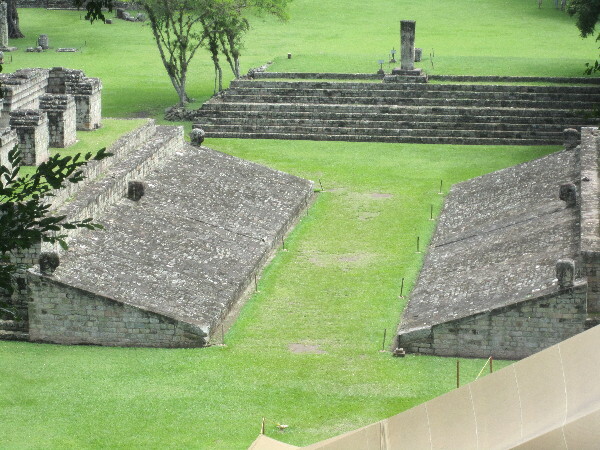 It is similar to the court in Tikal but much larger. 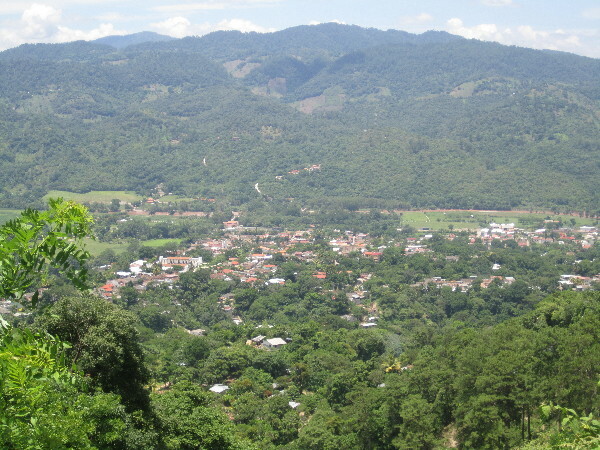 Most areas of Copan provide quite a view of the surrounding mountains. 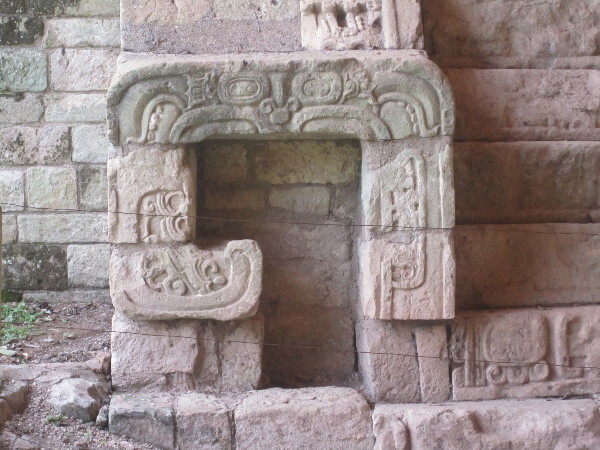 The Mayan built many buildings in Copan with an emphasis on design. 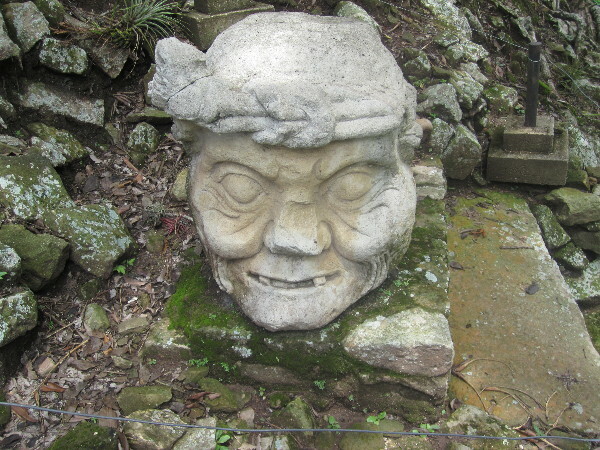 This sculpture of an old man’s face was originally part of a much larger structure that is believed to have been the entrance to one of the temples. 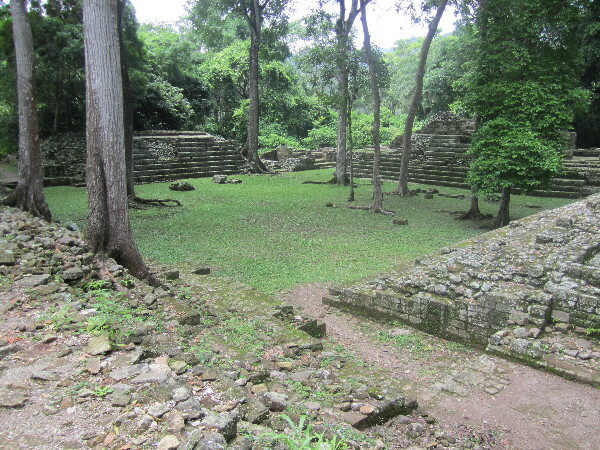 This courtyard was used only by the elite of the society as a place to view shows, dances, and rituals, possibly including sacrifices. 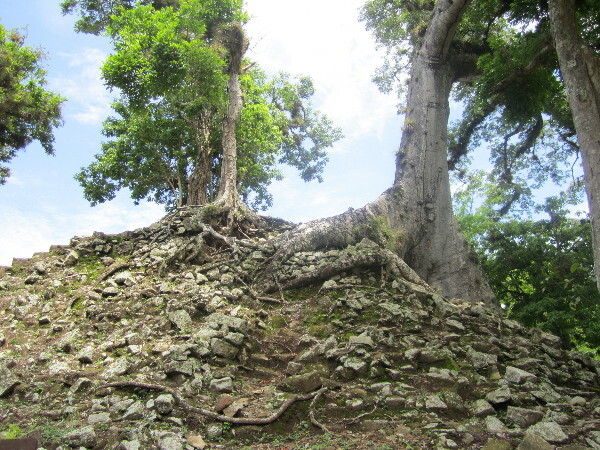 These trees are actually sitting on top of one of the temples that is not completely uncovered. The Hieroglyphic Stairway is probably one of the most intriguing structures in Copan but it must be covered to help preserve the carvings and writings on it. Here are some of the hieroglyphics that are on the Hieroglyphic Stairway. 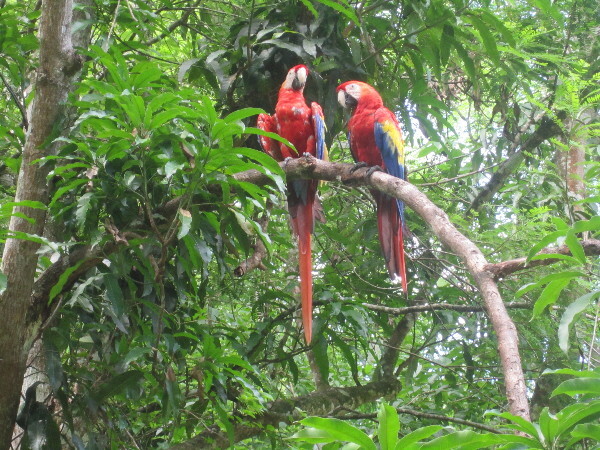 Two of the wild Macaws in the park were nice enough to hold a quick pose for me. This is part of a much larger structure that was a large centipede. The centipede was thought to help the Mayans communicate with the underworld. 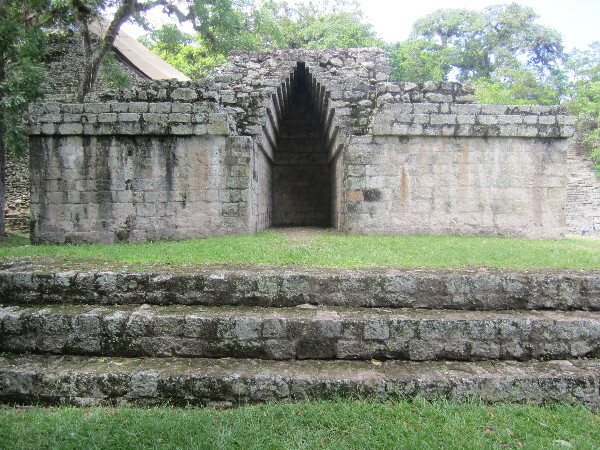 These stairs used to lead to multiple buildings that would have housed some of the Mayan but unfortunately they have long eroded and disappeared. The town of Copan was one of my fav places in all of Central America. The ruins are spectacular and I really enjoyed the bird park, too. I am glad that you are happy with your decision to leave the island when you did. I think that I would have struggled with that one, too. Copan ended up being one of my favorite towns of the trip. I loved the peacefulness of the place, and although it seems to exist mainly to house tourists who are seeing the ruins, it is so un-touristy!